Why FV Class? I feel FV is a huge stepping stone out of karts into open wheel. I think the number of participants in the series will be very beneficial for me to work on my race craft. The competition is great. The cost is very reasonable compared to some other open wheel series. The people are fun. Bio Makala Marks was born into a family whose careers revolve around racing so it’s no surprise that Makala had the urge to get behind the wheel. After having to wait to be cleared by a neurologist, due to a traumatic brain injury when she was just four years old, Makala was finally able to race at the age of eight. She instantly became the front-runner in Kid Karts and was comparable with other young drivers who had been doing it for years longer than Makala. Her rookie year went so well that Whiteland Raceway Park awarded her Rookie of the Year, the first instance in the park’s 54-year history the award had been given to a Kid Kart driver. 2012 brought nine wins and over 20 clenched podiums, bringing home a championship and the Junior Driver Rookie of the year award. The year following Makala stayed in the same class but competed with the Southern Indiana Racing Association. 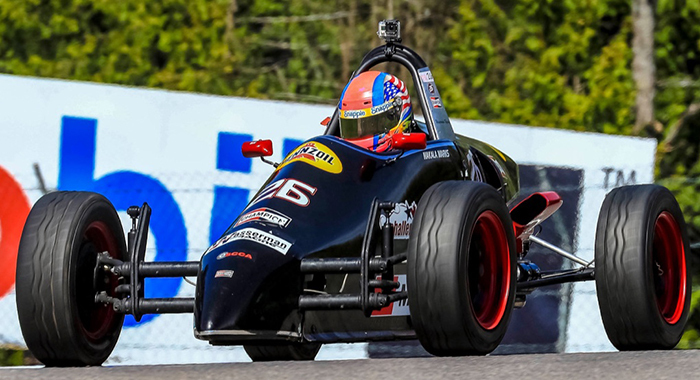 2013 provided her with another championship win, as well as a debut at New Castle Motorsports Park where she was granted Kart Racers of America Junior Driver of the Year award. In 2015 Makala was chosen as a recipient of the Women’s Sports Foundation’s Project Podium Grant and in 2016 and 2018. She won a 2-Day School with Lucas Oil School of Racing to get her SCCA license. Currently, Makala is running a full season with the Challenge Cup Series in a Formula Vee and will participate in some karting events through out 2018.